Aw, I love stuff like this. Games will often have fun Easter eggs, shout-outs, and sweet messages for their fans. Some of my favorites are things like the fan legacy room in Halo: Reach, the stickin’ it to the man Kojima tribute in Metal Gear Survive, and the short retro areas in DOOM (2016). 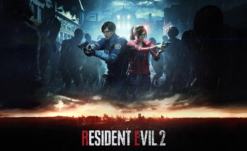 Resident Evil is no stranger to Easter eggs, with cute nods to other Capcom franchises and even other games in the series sprinkled throughout. 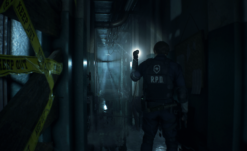 RE2 Remake looks to be no different, as a fan discovered a hidden-in-plain-sight message from the devs while playing the demo at SDCC. This bronze statue is dedicated to all the brave men and women who have given their lives so that others may live in freedom and safety. It is a tribute to all our everyday heroes who valiantly protect us and are willing to make the ultimate sacrifice. Very sweet in my opinion. 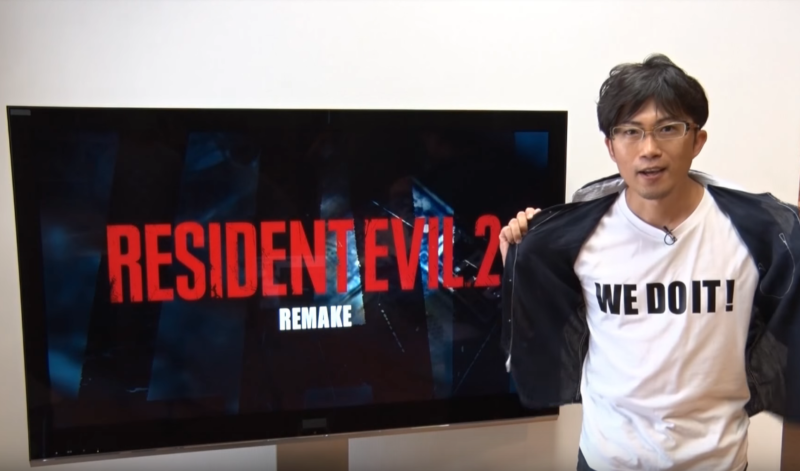 If you didn’t catch the reference, “WE DO IT!” was the rallying cry of RE2 Remake when it was first announced back in 2015, when producer Yoshiaki Hirabyashi revealed that the game was officially beginning production with a message printed on a t-shirt: “WE DO IT!”. It’s a nice gesture to everyone who’s waited so long for this remake to come into existence, and memorializes the charming Engrish message for all time. I can’t wait to see what other Easter eggs make it in to RE2 Remake – here’s hoping that there’s some way to play the original RE2, considering it doesn’t even take up a gig of space (seriously, it’s only 757 MB). We’ll just have to wait until January 25th, 2019, to see.